I'm pleased to be bringing a new monthly feature to A Rup Life. (You can read my previous reviews here.) I'm a member of Moms of Masterbooks and will be bringing a new book for review each month. In the past their have been some pretty awesome books - most which are perfect for homeschoolers! 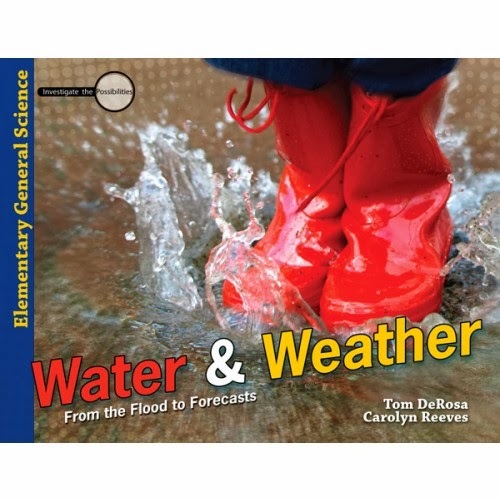 This month we had the priveledge to review Water & Weather: From the Flood to Forecasts by Tom DeRosa and Carolyn Reeves. This book is set up simply with a little reading and an experiment for each section. There are 20 sections and each has an experiment or activity. Find out the facts about the weather cycle, earth's purification system, weather instruments, and more! 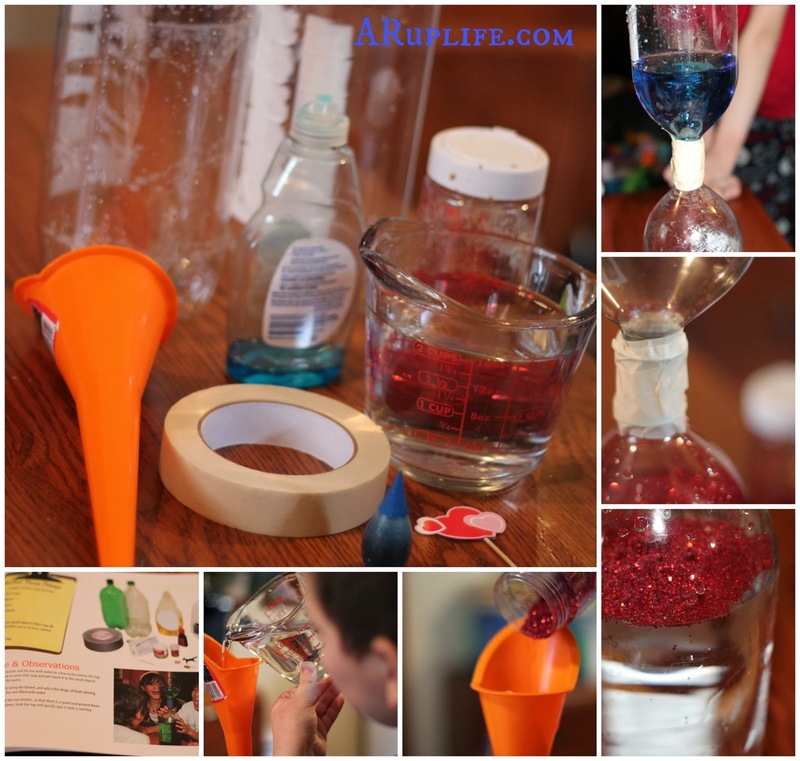 Science unfolds as activities bring alive the natural curiosity of children. This new title covers not only the weather and varying climates around the world, but explores the results of weather events in the past. The great Flood was a cataclysmic event that left behind fossils, and these impressions reveal much about what happened during and after this historical event. Form a connection between this biblical history and the world experienced outside your door as natural processes like rain and wind are shown to be forces at work in the environment! If you have a kid that likes hands on science this is a great book. Each section is broken up in to bite sized chunks so it is easy to complete. For most of the activities we had stuff on hand we could use - or could have with a little planning (such a saving a 2 liter bottle.) My only compliant is that they don't give you more explanations with the experiments. I really loved the reflection questions at the end of each chapter. This book is a great course for studying weather with a biblical worldview which fits nicely into our homeschooling philosophy. You can purchase this book online at nlpg.com or amazon. Be sure to join us for the Facebook Party at Master Books on February 25th at 7pm CST. This is a great chance to learn more about the book and maybe even win a prize!